Date: 7 March 2019. Dating for Boaters - Part 3. Finding someone to share the journey afloat is not so easy. This is Part 3 of a series for those seeking a cruising partner. Seeing a sea turtle pop up his head is so much more satisfying when you can say "did you see that?" to someone you care about. I had that with my Bob, albeit via the telephone. Since then though, well, I miss Bob. You met Bob in the Time Stopped article. One way to meet people that share our interests is to take a class in a subject that can be useful as we cruise. What do you like to do? Are you heading for the tropics? If so, a class to learn scuba diving may be just the thing. You will meet others who share that passion. As a bonus with equipment (an air tank or hookah unit) you will be able to keep your propeller clean. Checking and replacing zincs as needed is important too. Cleaning boat bottoms is a lucrative business. I have Seaweed's bottom done once a month. Levi is the diver I am using currently. He does a great job at a reasonable rate. Like all good divers he is busy. Send Levi a text [330-689-6652] if you're in the region and he might be able to fit you in. 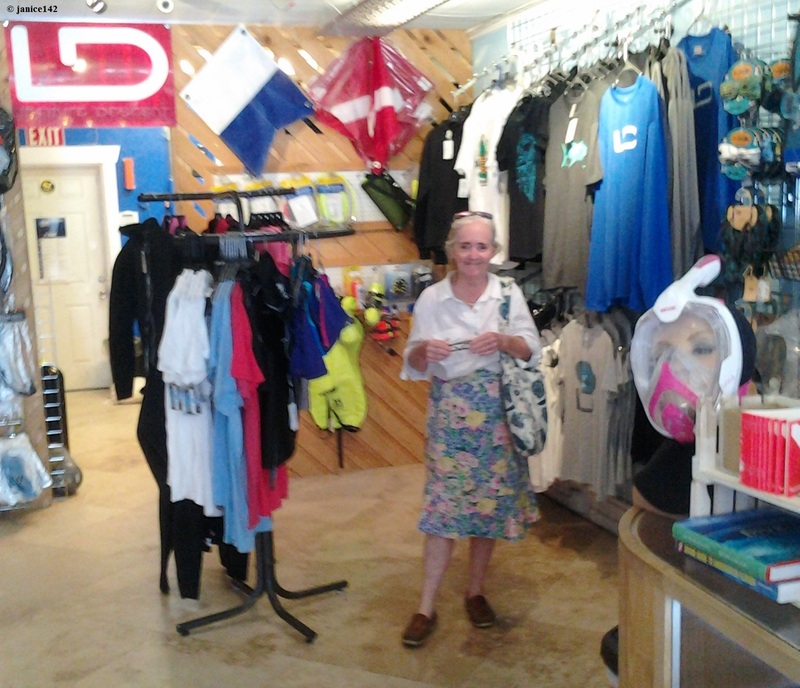 In Madeira Beach, Infinite-Descent has a retail store for divers and water aficionados. At Infinite Descent diver Kayla was helpful in explaining the PADI certification requirements. If you're in the area call 727-202-6965 for more information about Infinite-Descent. I know a fellow who took beginning Spanish three times in a row at a local college. Classes are sometime free for older folks who wish to audit (sit and listen) to the class. The gent ended up dating the instructor. Courses in diesel mechanics, navigation and fishing would all be useful. These tasks can be learned from a book however a class will put you with others who share your interest. Another place that offers classes is the local fabric store. Most will having beginning sewing courses. Being able to sew new cushion covers, curtains and more will save money. I am not an expert at the machine! Although my sewing skills are not anything to brag about, my sewing machine is. It's a Singer 221 and was a gift from my friend Mabe. 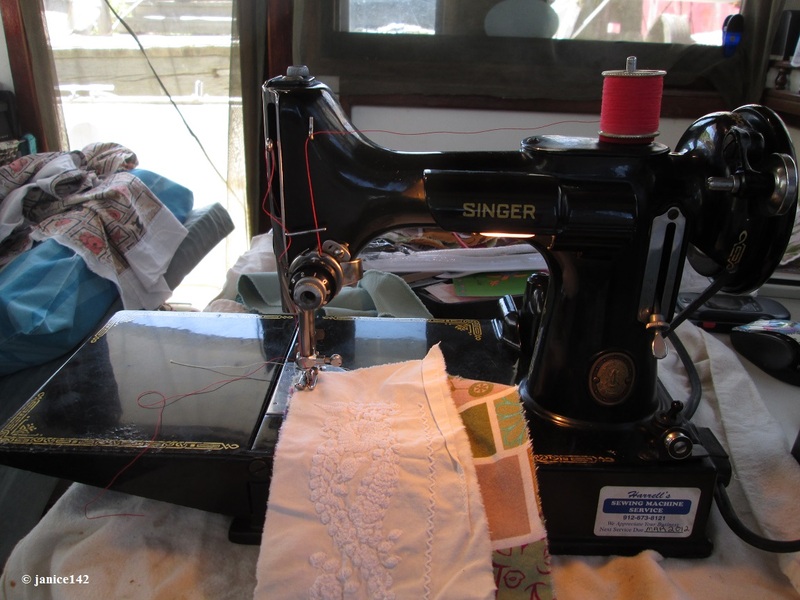 This is an older unit (circa 1950's) and does a perfect straight stitch. It goes forward and reverse, and that is it. There is no zigzag. I like that because this machine is not complicated, and because it was a gift. Like many, I remember the people behind the things I use. When I turn on my watermaker I think of Bill and Ken. The air-conditioner is Grandpa Edwin. Two of the solar panels are Bucky. The refrigerator is Michael. And the sewing machine is Mabe. As you can see, many people have made this life of mine better. I truly am blessed. curves. 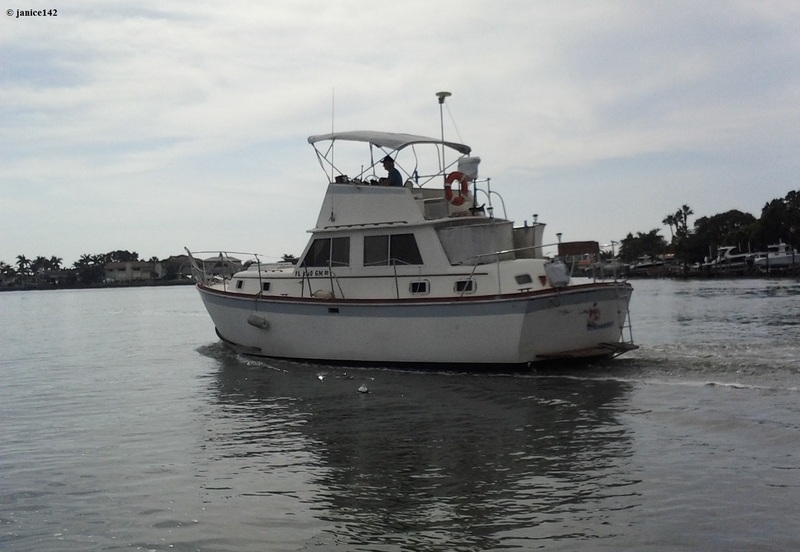 A well made bimini may indeed be worth spending the $$$ necessary for a properly made unit. A bimini covering the fly bridge keeps the captain out of the bright sun or rain at least some of the time. The best thing though is to get out there and learn. If the first class doesn't "click" there is no reason not to take the course again. Sometimes, at least for me, I need to hear and see information more than once for it to sink in. When I was younger it seems like learning was quicker than it is now. except my need to use the head at night! Librarians are generally knowledgeable about all things local. Those folks know everything about their communities. Asking a librarian about nearby activities isn't precisely their field of expertise however I've never been disappointed. The thing is this: when searching for someone to share your life, sitting on the boat won't work. You've got to get out there and socialize. One place to do that is in Gulfport at the ↓ Casino. There is dancing inside this building. 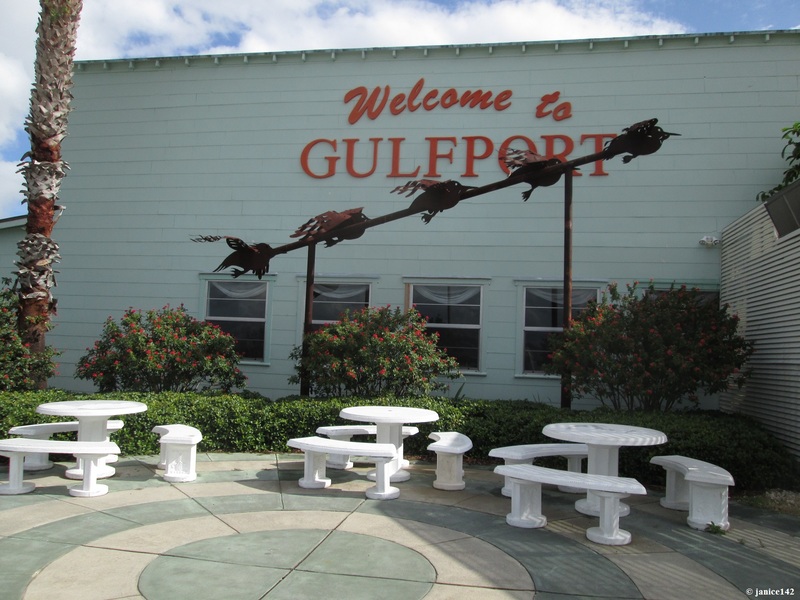 Outside the Gulfport Casino is a seating area. It overlooks the tennis courts, beach, park and a nice anchorage. 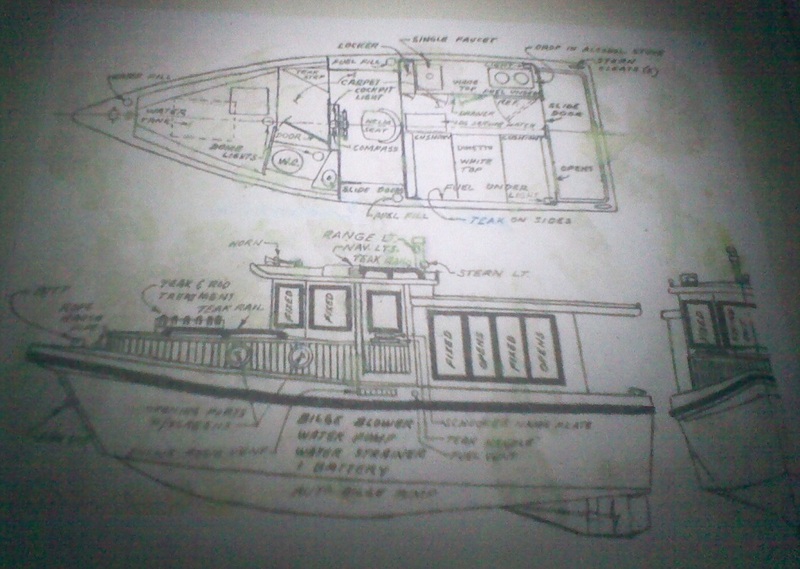 I told you about that anchorage in the Gulfport, FL weekend dockmaster Tom article. This is Tom. 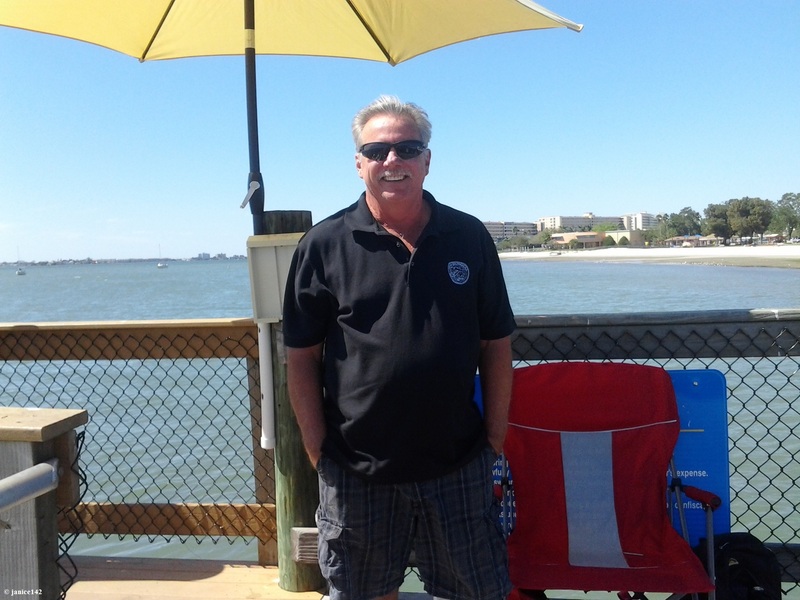 ↑ He is the weekend dockmaster in Gulfport and a great ambassador for the community. I find that happiness increases when I have someone to share my experiences with. Mostly that is via this website. Thank you for reading. Part 4 will be posted shortly. Have you taken any boat-related classes? And, what courses were most beneficial? A favorite aphorism: A good time to keep your mouth shut is when you're in deep water.